Check out Tobi's Jeannie Lace Up Crop Sweater We've cropped this sweater at the waist to breathe new life into your winter knits. The Toast Jeannie Lace Up Crop Sweater is a cute sweater with a lace-up detail at the back and extra long sleeves with flared cuffs so that you can do that cute thing where you pull the cuffs down over your hands. Pair this trendy flared sweater with tight jeans and boots! We've cropped this sweater at the waist to breathe new life into your winter knits. The Toast Jeannie Lace Up Crop Sweater is a cute sweater with a lace-up detail at the back and extra long sleeves with flared cuffs so that you can do that cute thing where you pull the cuffs down over your hands. Pair this trendy flared sweater with tight jeans and boots! We've cropped this sweater at the waist to breathe new life into your winter knits. 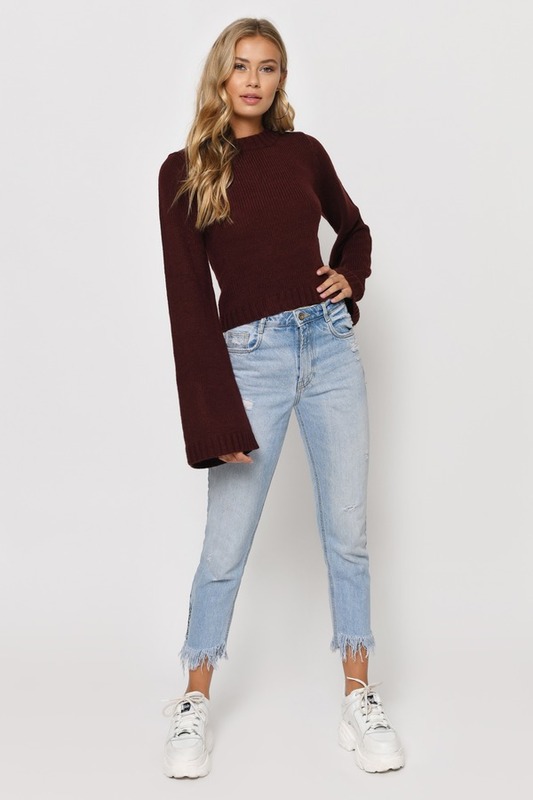 The Wine Jeannie Lace Up Crop Sweater is a cute sweater with a lace-up detail at the back and extra long sleeves with flared cuffs so that you can do that cute thing where you pull the cuffs down over your hands. Pair this trendy flared sweater with tight jeans and boots! 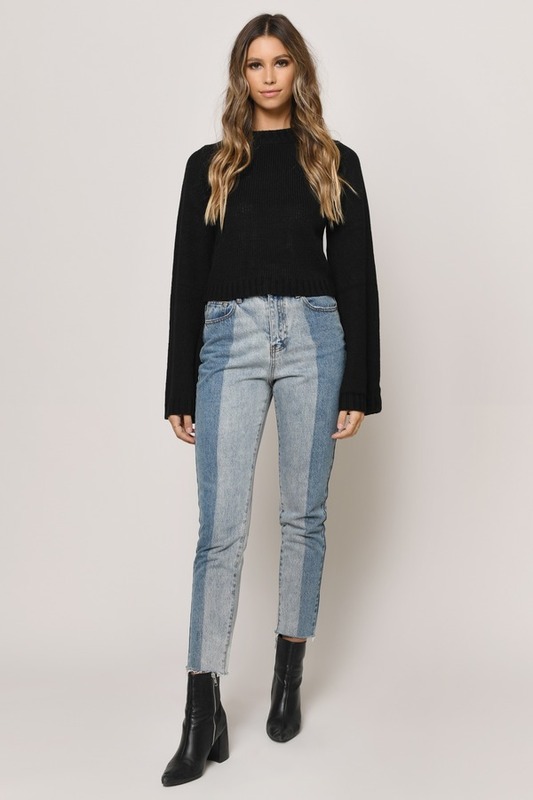 We've cropped this sweater at the waist to breathe new life into your winter knits. The Black Jeannie Lace Up Crop Sweater is a cute sweater with a lace-up detail at the back and extra long sleeves with flared cuffs so that you can do that cute thing where you pull the cuffs down over your hands. Pair this trendy flared sweater with tight jeans and boots!